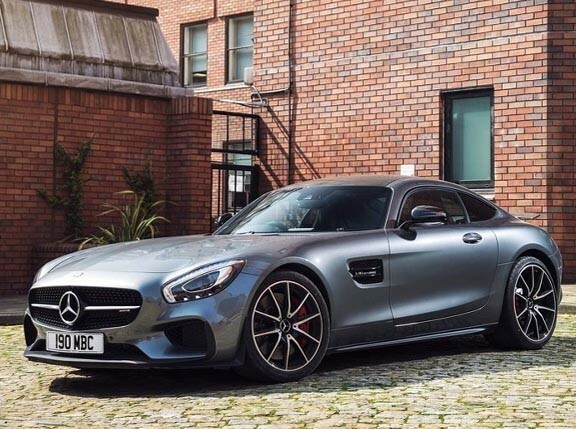 It looks like the gentlemen from Mercedes-AMG are on a roll. Just last month, they released the Mercedes-AMG C43 4Matic. This was quickly followed by the equally hot E43 4Matic. 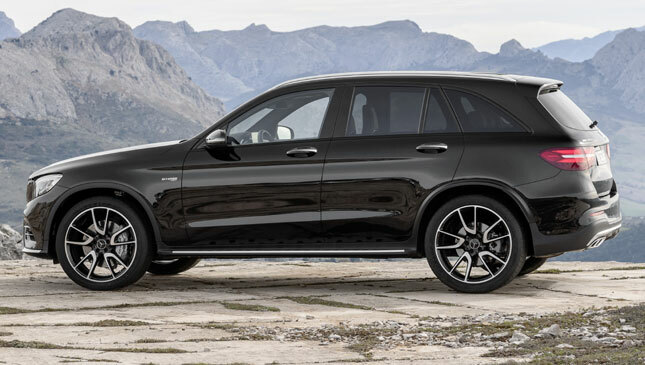 Now, the Affalterbach-based tuning arm that transforms luxurious Mercs into desirable and sporty road machines, gets its hands on the fresh GLC midsize SUV. 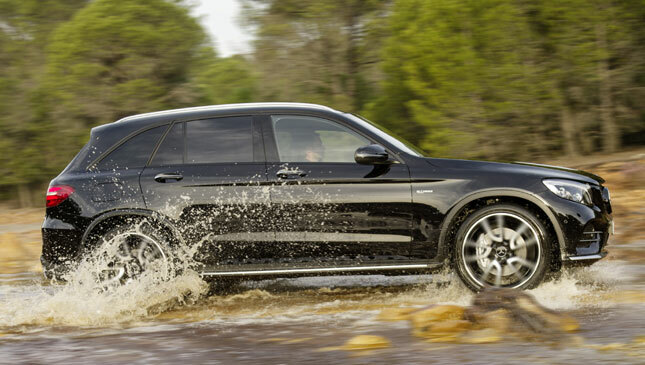 The result is the GLC43 4Matic. 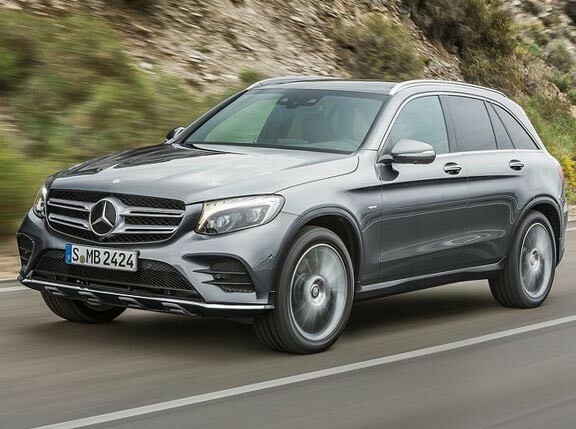 Just like its other '43' siblings, the GLC43 4Matic receives the same 3.0-liter bi-turbo V6 motor that puts out 367hp and 520Nm. 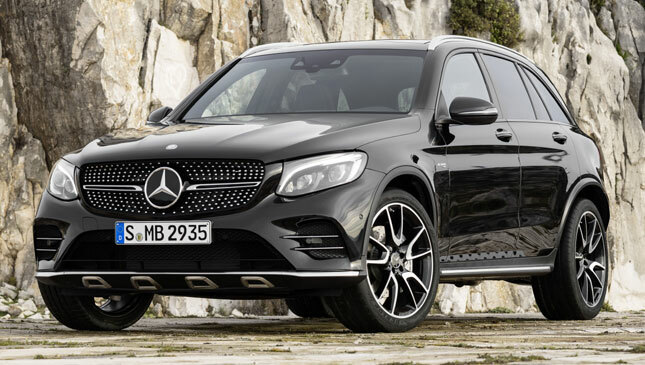 Mated to the patented 9G-Tronic nine-speed automatic gearbox and 4Matic all-wheel drive system, the seemingly practical crossover blasts from rest to the century mark in a scant 4.9 seconds. It has a top speed of 250kph. The 9G-Tronic transmission offers the driver loads of fun behind the wheel. In Sport and Sport Plus modes, for instance, it promises ultra-quick shift response times. Moreover, it features double-declutching when downshifting for the ultimate in sporty driving feel. Then there's the Dynamic Select switch that turns the SUV into either a smooth cruiser or a mean canyon-carver in just a single flick. All these bits are combined with AMG Ride Control sports suspension with adaptive damping that gives the best balance between ride comfort and dynamic handling. 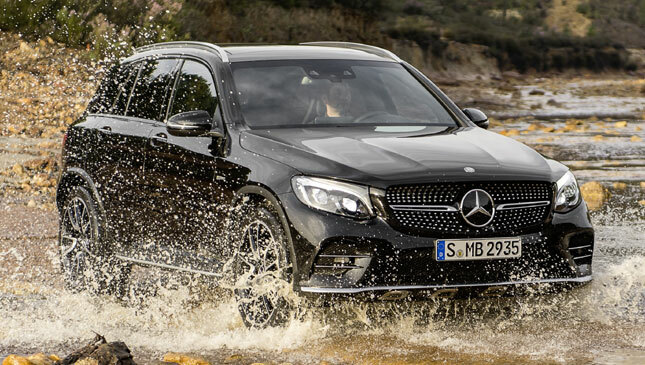 The 4Matic all-wheel drive system, meanwhile, is rear-biased with a 31:69 torque split that provides a rewarding driving experience, yet still offers the utmost traction in any road condition. A newly developed steering rack and internally ventilated compound and perforated brakes help ensure a safe yet enjoyable time while on the move. 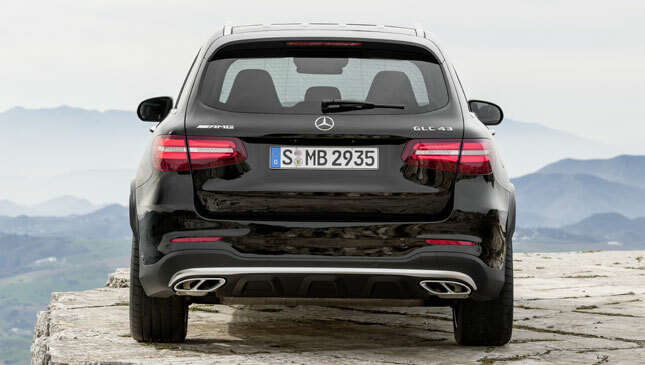 While the regular GLC has admittedly gone a tad mainstream, this AMG version adds a lot more style and sport to the mix. 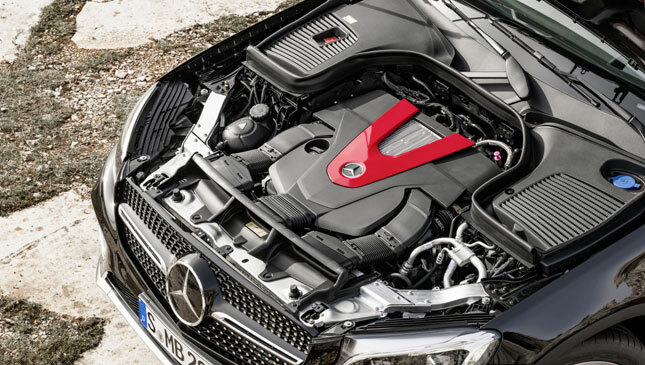 The new diamond radiator grille features the distinctive chrome pins, gloss-black louvers and AMG lettering. A host of silver-chrome accents adorn the front apron and splitter, and give the fascia a meaner yet more elegant appeal. 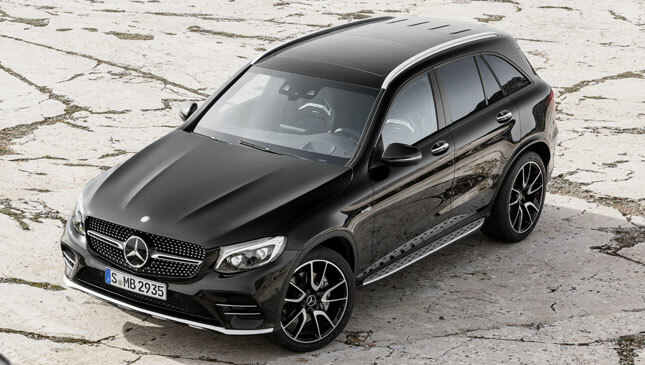 Moving to the side, one will immediately notice the gloss-black mirror caps and the Biturbo 4Matic lettering on the front wings. 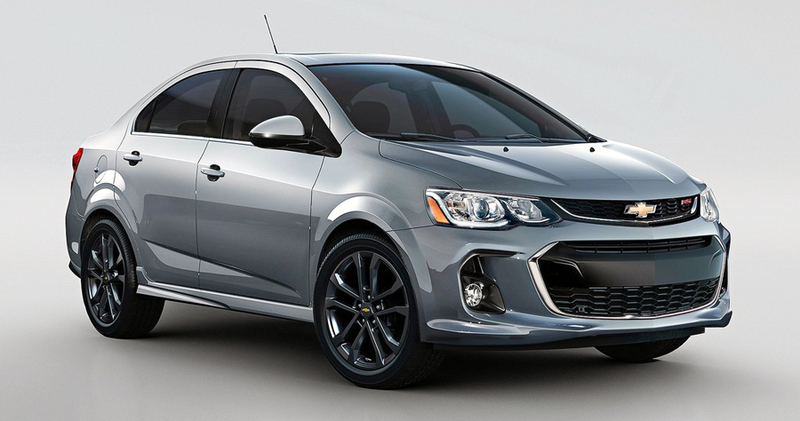 The rear, on the other hand, gets silver-chrome trim on the lower apron, along with a four-pipe exhaust system. The look is finished off by 19-inch five-twin-spoke alloy wheels wrapped with 235/55 tires up front and 255/50 rubber out back. The cabin likewise gets sporty touches like a flat-bottom sports steering wheel with contrasting topstitching; Artico leather and Dinamica microfiber seats with red topstitching; and dials with a checkered-flag look. Of course, other luxurious and tech goodies are on offer, either as standard or optional features. 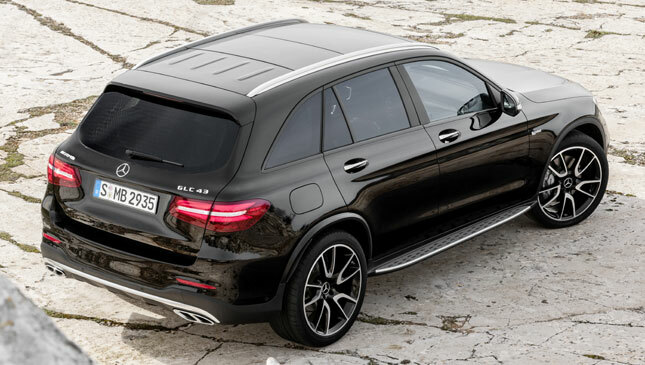 The new Mercedes-AMG GLC43 4Matic will globally debut at the upcoming 2016 New York Auto Show, with sales beginning in April. 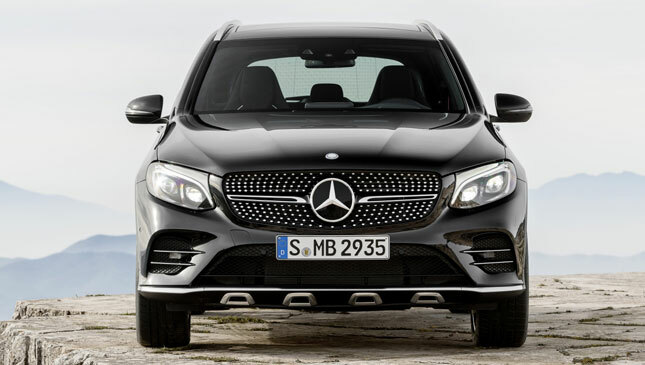 It's the perfect ride for those parents who pine for rides like the E43 yet still need the practicality of the GLC. And with competition from the likes off the Audi RS Q3, the sporty little SUV looks like one tasty Merc.